Winter Pricing Special... 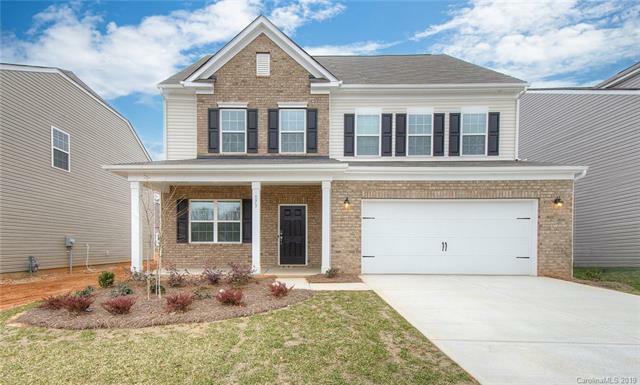 This MOVE IN READY- BRAND NEW construction home is just what you have been looking for! A bright and open kitchen comes complete with a granite countertop island, breakfast bar, and stainless appliances, including a refrigerator. Great for entertaining or preparing all of your delicious dinners! You'll love having a separate office space with French doors for privacy and a spacious family room with gas fireplace. The second floor is where we have the perfect size bedrooms with plenty of closet space. Your master bedroom suite comes with a huge walk-in closet, garden tub, and walk-in shower. And keep going! This home has a third level with a bedroom, full bath, and bonus room. Also, this home is so smart -- enjoy the Ring video doorbell and Power Hub in the kitchen. While you are enjoying the outdoors, sit on the 10 x 10 patio in the back or relax on the front porch with the view of the beautiful common open area green space across the street. Don't miss out!